The 2017 London Cast Recording of 42nd STREET, the song and dance, American dream fable of Broadway, featuring the iconic songs 42nd Street, We're In the Money, Lullaby of Broadway, Shuffle Off To Buffalo, Dames and I Only Have Eyes For You. With the West End's biggest cast, this is a musical like no other, entertainment doesn't get bigger than this. Grammy Award winner Sheena Easton plays legendary diva Dorothy Brock, alongside Tom Lister as the big shot director Julian Marsh and Clare Halse as overnight sensation Peggy Sawyer. 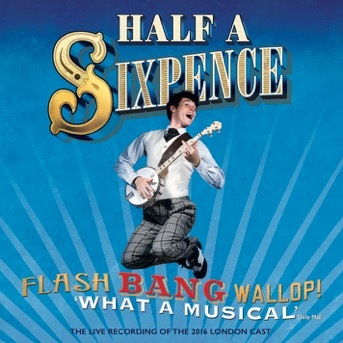 Recorded live at Chichester Festival Theatre, the 2016 London Cast Recording of Half A Sixpence will be available on CD and digital on 18th November 2016. This new stage version has a stellar creative team and reunites bookwriter Julian Fellowes with George Stiles and Anthony Drewe, the musical team that co-creator Cameron Mackintosh first put together to create the smash-hit stage adaptation of Mary Poppins with Disney. Liza Pulman's glorious voice brings you some of the greatest songs from the golden age of Hollywood, with the Starlight Orchestra conducted by Joseph Atkins. The CD includes songs from Casablanca, The Spy Who Loved Me, Breakfast at Tiffany’s and many more. 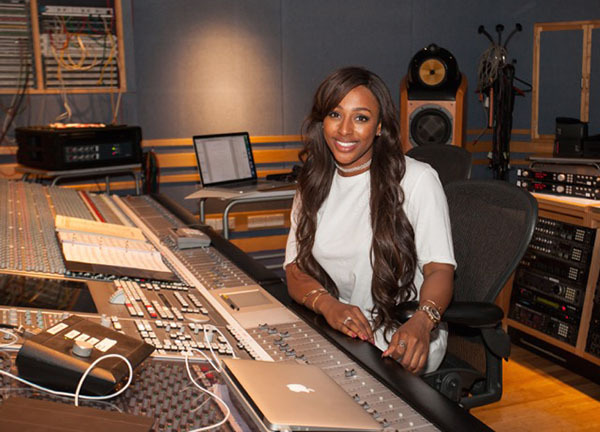 Following a successful run in the West End, Alexandra Burke reprises her role as Rachel Marron in THE BODYGUARD – The Musical, based on the film starring Whitney Houston and Kevin Costner, which is currently touring the UK. 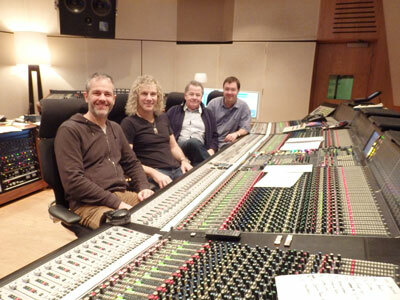 Nonetheless, we’ve managed to find time to record the show at London’s famous Abbey Road Studios. The recording should be available on CD and digital download by the end of July. 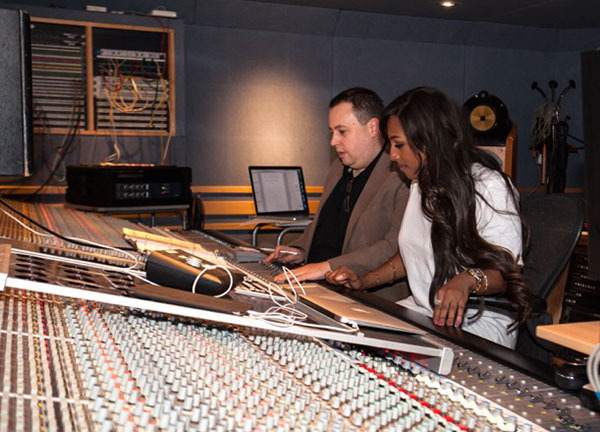 Pictured: Alexandra Burke in the studio with Chris Egan, the orchestrator and record producer. Although the new London Cast Recording of GYPSY won’t be available in stores or online until 27th April, we are planning to have copies of the CD on sale at the Savoy Theatre on Opening Night, 15th April 2015. 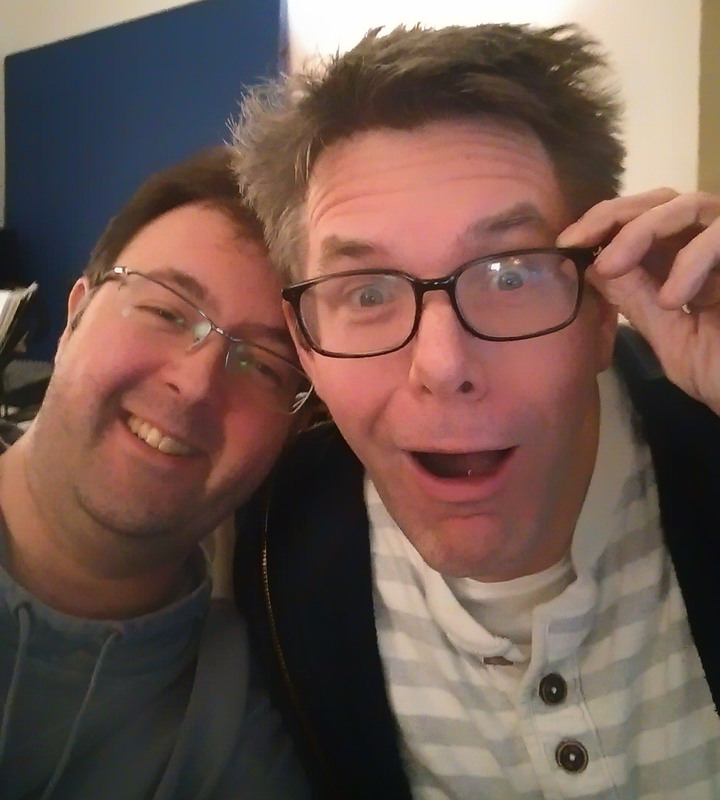 Pictured: Niall Acott (engineer) and Nick Skilbeck (Musical Director) after a marathon 21-hour mixing session. 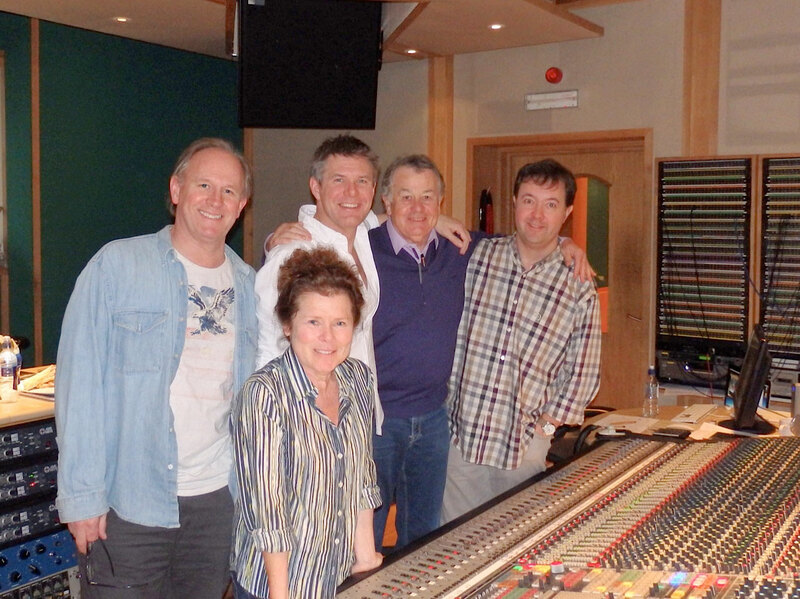 With MEMPHIS – THE MUSICAL now in the stores, our next release will be the new London Cast Recording of GYPSY starring Imelda Staunton as Momma Rose, which starts previews at London s Savoy Theatre on March 28th 2015. The new DVD from Fascinating Aïda — CHARM OFFENSIVE — is now available in stores and online. Whilst we’re not releasing it in CD format, the songs will be available for digital download from iTunes et al from Monday 6th October 2014. On 20th October you’ll be able to download an EP of Petula Clark’s SOMEONE LIKE YOU, recorded by the original Strand Theatre cast in 1990. 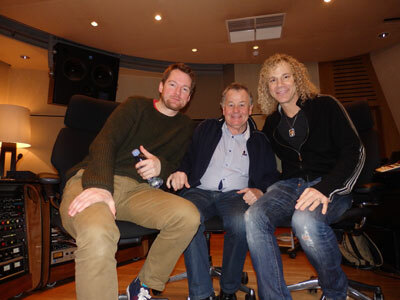 In addition to the tracks ‘Someone Like You’ (Petula with Dave Willetts) and ‘Getting the Right Thing Wrong’ which featured on the original EP, we’ve tracked down two unreleased tracks from the recording session: ‘I Am What You Need’ sung by Clive Carter and ‘Home Is Where The Heart Is’. All First Night albums for which we hold the digital rights can now be listened to via the Spotify® streaming service; the Spotify® player is now available on all such product pages - CLICK HERE TO LISTEN NOW! A new Fascinating Aïda DVD is in the works! We are recording the girls’ latest show, CHARM OFFENSIVE in Norwich on 9th March. Check back here for details of release date or visit http://www.fascinatingaida.co.uk/news for more up-to-date info. Eleven o'Clock in my Life c/w Painted Faces from the Mike Reed/Warner Brown musical Six for Gold sung by Carol Nielsson available for download from your iTunes Store (not currently available on CD) on 15th July. Congratulations to the Cast and Creative team of TOP HAT for winning the Best New Musical Category at the 2013 Olivier Awards, the Cast and Creative team of SWEENEY TODD for winning the Best Musical Revival, and to MICHAEL BALL and IMELDA STAUNTON who won the Olivier awards for Best Actor in a Musical and Best Actress in a Musical respectively. Our two latest CD releases, SINGIN’ IN THE RAIN (currently playing at the Palace Theatre, London) and TOP HAT (at the Aldwych Theatre, London) are now available in stores and online. Click on ‘Buy online’ above to purchase. Also available for digital download from iTunes and other digital outlets. Fascinating Aïda are pleased to announce that a performance of their recent record-breaking tour will be released on DVD & CD on May 7th, 2012. For more tour information, reviews and more visit the Fascinating Aïda website at http://www.fascinatingaida.co.uk, Twitter feed @fascinatingaida, facebook or youtube. 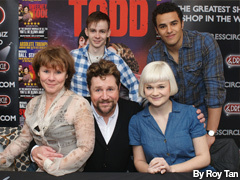 Dress Circle welcomed Michael Ball, Imelda Staunton, Lucy May Barker, Luke Brady and James McConville to their London store to sign copies of the 2012 London Cast Album of Sweeney Todd on Saturday 31st March. 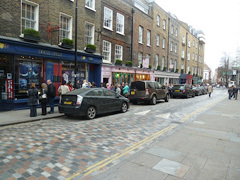 It was a wonderful day in London with excited Sweeney Todd fans scattered along Monmouth Street, CDs in hand, eagerly awaiting their turn to meet the cast. Direct from a sell-out season at Chichester Festival Theatre, where it received multiple five-star reviews and standing ovations, as well as winner of the Whatsonstage.com award for Ã”Best Regional ProductionÃ•, Stephen SondheimÃ•s musical thriller is laced with dark humour, dazzling wit and an infectious score. 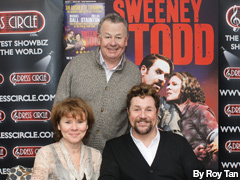 The production starring Michael Ball and Imelda Staunton comes to the West End's Adelphi Theatre for a strictly limited season previewing from 10th March opening on the 20th March 2012. The recording will be available on April 2nd in your local iTunes Store, your High Street record store, the Adelphi Theatre and at Dress Circle in Monmouth Street, Covent Garden, where members of the cast including Michael Ball and Imelda Staunton will be signing copies of the CD on Saturday 31st March, 2012 from 12 noon - 1 pm. Fascinating Aïda are pleased to announce that a performance of their recent record-breaking tour has been recorded and will be released on DVD & CD in Spring 2012. 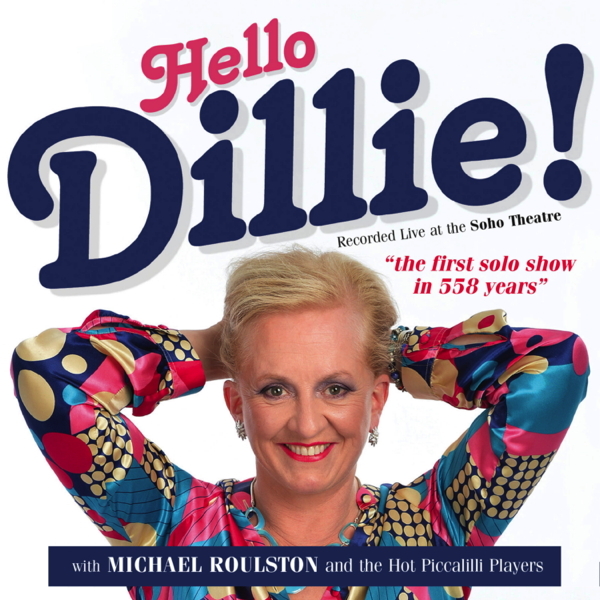 Our next tour begins on Thursday 9th February 2012 in Chichester (sold out! contact Box Office for returns on 01243 781 312), and visits Camberley, Hereford, Yeovil, Billingham, Edinburgh, Inverness, Aberdeen, Reading, Birmingham, Portsmouth, King’s Lynn, Lincoln, Scunthorpe, Bury St. Edmonds, Bournemouth, Bridport, Newbury, Bromley, Bradford, Barrow-in-Furness, Telford, Leamington Spa, Durham, Harrogate, Northampton, St. Albans, Colchester, Kingston, Southend, Chatham, Belfast, Glasgow, Dundee, Leeds, Bristol, Stafford, Norwich, Chelmsford, and Guildford before finishing off with a month of performances in London in September 2012. Original London Cast Recording now available in stores and online. Click on ‘Buy online’ above to purchase. 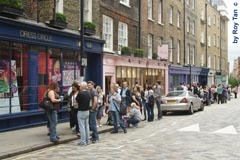 Members of the cast will be signing copies of the CD from 12 noon - 12:45pm on Saturday 6th August 2011 at Dress Circle in Monmouth Street, Covent Garden. The new double CD of Claude-Michel Schönberg & David Nixon’s CLEOPATRA is now on sale and is also available for digital download on iTunes. Click here for more information. Congratulations to the Cast and Creative team of LEGALLY BLONDE for winning the Best New Musical Category at the 2011 Olivier Awards, and congratulations also to SHERIDAN SMITH and JILL HALFPENNY who won the Olivier awards for Best Actress in a Musical and Best Performance in a Supporting Role in a Musical respectively. Tracie Bennett sings Judy Garland. Recording now available in stores and online. Click on 'Buy online' above to purchase. Tracie will be signing copies of the CD at 12 noon on Saturday 5th February 2011 at Dress Circle in Monmouth Street, Covent Garden. 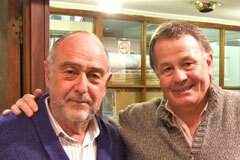 It is with great regret that we announce that Tony Edwards (1932 - 2010) passed away 11-11-2010. John Craig's partner and co-founder of both Safari Records and First Night Records. The new double CD recording of Les Misérables Live!, the 2010 recording of the new 25th Anniversary Production of Boublil & Schönberg's classic musical went on sale in September, and is also available to download from iTunes and other digital retailers. 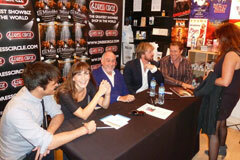 Members of the cast signed copies of the CD at Dress Circle Records in Covent Garden. The brand new recording of the original London cast of Legally Blonde The Musical was released on 16th August, and is also available (including 2 bonus tracks) to download from iTunes and other digital retailers. 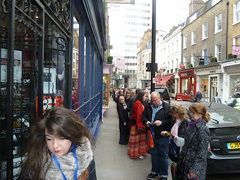 Members of the cast signed copies of the CD at Dress Circle Records in Covent Garden. Coming soon: Les Misérables Live! 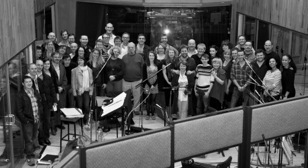 - the 2010 recording of the new 25th Anniversary Production of Boublil & Schönberg's classic musical. Click on 'buy online' above to pre-order. 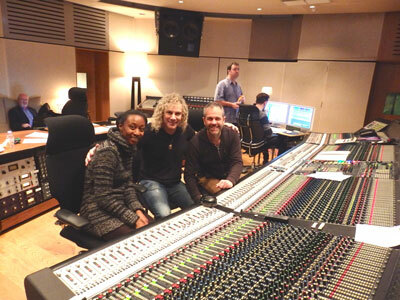 Our sister site, http://www.safari-records.co.uk has recently been busy in the archives tracking down the master tapes of the Safari Records catalogue, and are delighted to announce that we will be making available for digital download as many of them as we can, with the 25th Anniversary Commemorative Album of Safari Records (originally released in 2002 and still available on CD), The Yobs' CHRISTMAS ALBUM, two albums from The Boys: BOYS ONLY and TO HELL WITH THE BOYS and five albums from Toyah: SHEEP FARMING IN BARNET, THE BLUE MEANING, ANTHEM, THE CHANGELING and Toyah's Live 1980 album, TOYAH! TOYAH! TOYAH! already available from the Safari store. Some of the albums we've found haven't been available since the vinyl days of yore, and many feature bonus tracks not available on the original recordings; watch this space for updates on more digital releases from the Safari Records catalogue. Recent digital-only releases include: The Ragged Child Ã� National Youth Music Theatre Cast, The Gambler Ã� Original London Cast, Ziegfeld Ã� Original London Cast, A Gala Concert for Hal Prince and The Music of Torvill & Dean. Over 150 recordings are now available to order or download from the First Night Records website. Recent releases include: the new smash hit musical Sister Act, Highlights from Les Misérables – Original London Cast' including 'I Dreamed A Dream' as sung by Susan Boyle on 'Britain's Got Talent', Oliver! featuring Rowan Atkinson & Jodie Prenger, Bodywork Ã� National Youth Music Theatre Cast, Stepping Out Ã� Original London Cast, Zorro Ã� Original London Cast Recording, Marguerite Ã� Original London Cast Recording, Bad Girls Ã� Original London Cast Recording, Parade Ã� Original London Cast Recording, Victor Spinetti Ã� A Very Private Diary and Stiles & Drewes' Honk Ã� Original Demo Recording. 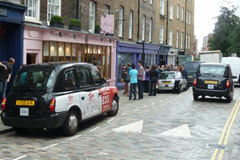 Photographs of Laura Michelle Kelly and Gavin Lee on 6th April signing copies at HMV, The Trocadero, Coventry St. W1. 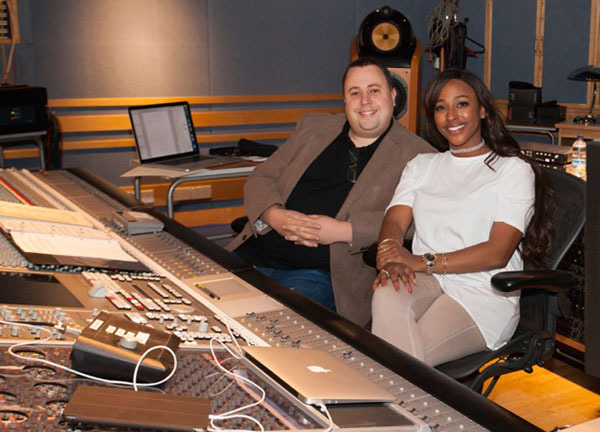 We have also just finished recording the Young Vic's hit production which transferred to the Trafalgar Studios, and the cd was released in the first week of march. we have recorded Just So but there is still work to do on it and the cd will not be out before the autumn, but we will update the news pages as soon as we have more information. FIRST NIGHT RECORDS are pleased to announce an album of Cole Porter standards by JOHN BARROWMAN. We are pleased to announce our first release of 2004, the CD of Wuthering Heights, due for release on 2nd February 2004. The original ballet music is composed by Claude-Michel Schonberg creator of the smash hit musicals Les Miserables and Miss Saigon. The ballet received its World Premiere on September 21 2002 at the Alhambra Theatre, Bradford and the Northern Ballet Theatre have toured the ballet in 2003 and played a season at Sadler's Wells Theatre London. The brand new recording of the 2003 Royal National Theatre released on Sept 22. 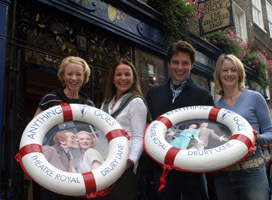 Stars of the recording (and production) Sally Ann Triplett, John Barrowman, Mary Stockley and Annette McLaughlin signed copies of the cd at Dress Circle Records, 57-59 Monmouth St, London WC2. The cd is also available direct from our website (£14.99).